Welcome to, what I hope will be, an occasional series attempting to break down some of the myths that have grown up about Pentecostalism. And to get the ball rolling lets dispel that myth that Pentecostals are all Arminians. When I first met a good friend of the Reformed persuasion, and he found out I was a Pentecostal, his first reaction was something along the lines of ‘Oooh, an Arminian!’ And that’s not the only time it’s happened. Now, it’s true, there are many Arminian Pentecostals. There are even whole denominations of Arminian Pentecostals in some countries. And, undoubtedly, that’s where the myth has come from, for the big Pentecostal denominations in the United States tend to be Arminian. In fact, in America they have what they call Holiness Pentecostalism, which comes out of the Wesleyan tradition (and Wesleyanism is a form of Arminianism). One of the first, and most influential, books on Pentecostal origins and theology, Dayton’s Theological Roots of Pentecostalism, concentrates on this Wesleyan branch of the movement in America, and so, as a result, Pentecostals in many countries which have no comparable movement, have read a Wesleyan Arminianism that was never there back into their own origins. British Pentecostalism differs from its American counterpart in many ways, and this is no exception. None of the three main British Pentecostal movements take an officially Arminian doctrinal stance. Nor do they take an officially Calvinist stance. And all three have had prominent ministers of a Calvinistic persuasion. Of course, I’m most familiar with the situation in the Apostolic Church. In the early days of the movement Calvinism and Arminianism weren’t discussed as wholesale positions, but various doctrines which played major roles in either the Calvinist or Arminian scheme were. (Incidentally, the lack of Calvinist/Arminian binary debate highlights the fact that, although they’re the more common positions in the English-speaking world, they aren’t the only two alternatives. Lutheranism is a fully Protestant position which is neither Calvinist nor Arminian.) So let me just touch briefly on some of these. The doctrine of election was highly valued by the early Apostolics. According to one, 'election, with its design of Christ character, is treated as the central sun of God’s eternal purpose; all other teachings, however much we value them, are regarded as so many planetary satellites.’ W.A.C. Rowe favoured unconditional election, writing that ‘some must come’ to Christ for salvation. (Rowe wasn’t a classical Calvinist, but his view can be read as either a modified Lutheran approach, or a rather modified Amyraldianism.) In the early years of the movement, Prophetical ministry was given in the Penygroes Convention, accepted by the leadership, and later published in the Riches of Grace and distributed around the world, declaring: ‘Chosen and predestined are some, according to mine eternal purposes, unconditionally, according to the Divine decree that has found its essence in the Eternal One.’ Unconditional election is certainly not an Arminian doctrine! For the early Apostolics, the Cross didn’t simply give the possibility of salvation, it actually saves. Christ’s finished word brings about justification and sanctification (Tenet 4). Christ’s sacrifice on the Cross is an ‘atoning death’, not a potential atonement (Tenet 3). Arminianism posits a potential atonement, and so the Arminian American Assemblies of God writer Myer Pearlman has to use rather different language to describe the Cross, writing that ‘Christ’s death has made the reconciliation of all mankind to God possible’ (emphasis his). How different from the way the early Apostolics put it, like the Reformation positions of the Lutherans or Calvinists, pointing to an effective atonement. As D.P. Williams wrote. ‘the justification of sinners … [is] effectually procured by [Christ’s] propitiation.’ The Cross of Christ actually saves. 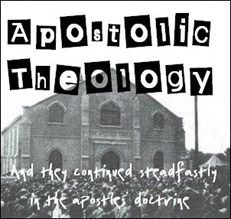 Don’t get me wrong, I haven’t set out to prove that the Apostolic Church was either Calvinist or Lutheran; it wasn’t, it was Apostolic! 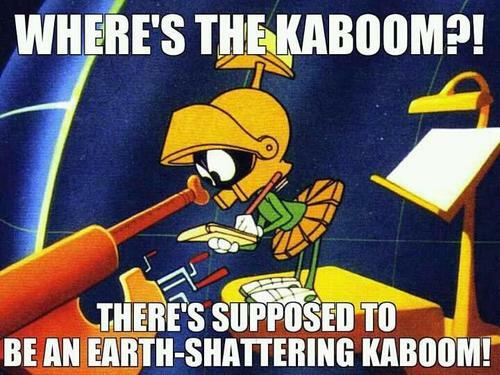 (And remember, the point of this series is exploding myths, not building up positive cases.) 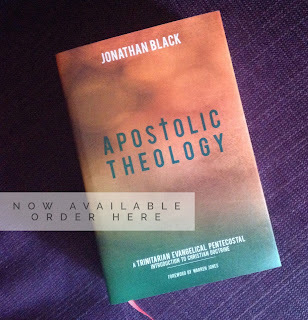 But what is clear is that many (if not most) of the early Apostolics weren’t Arminians. Yet they were Pentecostal. And that’s just the Pentecostal movement with which I’m most familiar. I don’t know what exactly can be said about the early days of Elim or the AoG, but I do know of Calvinistic pastors who sit very happily in those movements today. So, the next time someone tells you all Pentecostals are Arminians, tell them it’s just not true.